After looking at the confusion, not just about the best type of breakfast, but about whether breakfast was a good idea in the first place 1 , a recent newspaper article, “Beware the ‘bliss point’ – the sinister reason why you can’t put down your favourite snacks” 2 raised some pertinent points. 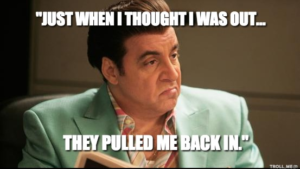 Linked to this topic are two books I would strongly recommend: “Salt, Sugar, Fat: How the Food Giants Hooked Us” by Michael Moss 3 , and “The Pleasure Trap: Mastering the Hidden Force That Undermines Health and Happiness” by Doug Lisle & Alan Goldhamer 4 . Bliss point & pleasure trap – What’s the problem? The bliss point is something that food manufacturers employ expert scientists to find so that you become addicted to their foods. Too blunt a way of putting it? Okay, maybe the above-mentioned newspaper article will put a little more flavoursome flesh on the bones. You may already be aware that we in the UK eat more processed food than any other European nation – around 50.7% of our diet on average, and this figure only appears to be going in one direction – upwards 5 . With the growing interest in vegan foods, many of which are highly processed in an attempt to mimic animal foods like burgers and sausages, even those choosing a plant-based diet may not be able to avoid the bliss point and thus getting caught in the pleasure trap, unless they scrutinise the ingredients lists. So, when we casually joke that we can’t resist certain foods (from biscuits and ice-cream to crisps and cheesy/meaty ready-meals), the truth is closer than we think – brilliant scientific minds are employed specifically to ensure that our brains make it virtually impossible for us to resist the temptation to eat more than we probably know is good for us. When salt, fat (whether in solid form like lard and butter or liquid like sunflower or olive oil) and sugar are combined, your brain doesn’t stand a chance against the pleasure signals your tongue will send it. In nature, these three are rarely – if ever – found together in any natural food. Yet, our animal brains have been programmed over millions of years of evolution to fill up on fatty and sugary foods whenever we were lucky enough to find them. This would normally occur seasonally – picking fruits in summer and autumn, or coming across a beehive full of energy-rich, sweet honey. But nowadays, we’re surrounded by these “Frankenfoods” 6 , which ‘pull us back in’. And these Big Food guys and gals are pretty cute – so that, even when you’ve selected what you think is the healthy low-fat, non-gluten, organic, locally-sourced and sustainable ready meal, they’ll already have ensured that whatever addictive element was reduced in quantity, was replaced by an increase in another equally-addictive element. We’ve been processed just like the food! There’s no doubt that most of us consider that we are doing our best to eat more health-consciously; but it’s really an uphill battle when you’re fighting against Big Food and their hunger for making huge profits from cheap ingredients – apparently with little regard for the devastating health implications for the unwitting consumer, while virtue-signalling the food’s health benefits. 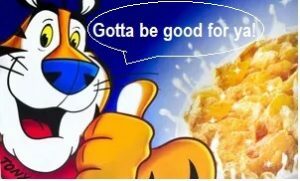 All efforts to change the “profit over health” bias within major food manufacturing, even by leading-lights such as Hugh Fearnley-Whittingstall, appear to produce little more than token gestures from the likes of Kellogg’s and Nestlé 7 8 . This is all well and good if you know which direction to go. However, even when we watch documentaries or read articles that reveal these industry techniques, aimed at making us addicted to their products, we still unconsciously reach out for that bag of crisps or the chocolate Hobnobs. With this onslaught of industry influence, no matter how healthily we try to eat, few of us are likely to discover the route to a truly healthy, life-long plant-based diet, free of all the pleasure traps and bliss points – at least, when the only information we receive comes via clever media trickery. So are plant-based foods tasteless? It could be argued that anything which compels you to consume something, even though you implicitly know that it’s bad for you, is an addiction with certain negative health connotations. People don’t smoke tobacco, inject heroin or drink excess amounts of alcohol without being aware both that it’s bad for them and that they find it really difficult to stop. There appears to be little difference between these forms of addiction and processed food. We humans are masters of cognitive dissonance 9 . With unadulterated plant foods, your body will not allow you to reach a point of no return – where you are so addicted that you consume more of something than your body knows is good for you. When you eat a food that your body recognises as food, with all the natural combination of fibre, water, macro- and micro-nutrients, there’s a perfect alignment between the amount your stomach contains and the amount your brain thinks has been consumed. A previous blog 1 showed that this alignment does not exist when it comes to highly calorific, salty/sugary/fatty processed foods. As for whether or not plant-foods lack flavour, our taste buds (and brain) become accustomed to the natural flavours of natural foods. An imperceptible shift occurs in both our expectations of what food will provide and in the satisfaction we derive from it. After only a short period of time (often only a number of days) of being freed-up from the overpowering saltiness, fattiness and sweetness of processed foods, our taste buds normalise and the true flavours emerge. 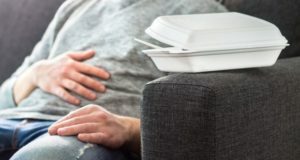 It’s true that a memory of previously-eaten foods will remain somewhere in the recesses of the brain, much like an ex-smoker will always have some part of his or her brain that’s still drawn to the memories of social or psychological aspects of the addiction – but, the memories are invariably selective in nature. When one has the occasional yearning for a blow-out meal of fish and chips or a Double Whopper Meal, it’s so easy – I know – to remember how wonderful they tasted – even causing us to physically salivate, much like Pavlov’s dogs 10 – but, of course, without immediately recalling how stuffed and ill we may have felt immediately afterwards, and how we promised not to eat such food ever again. Cravings – a thing of the past? It can come as quite a surprise when you find that eating a WFPB begins to free you up from food cravings. When you’re hungry, you eat. Plants, being rich in nutrients and low in calories 11 , fill you up more than foods high in calories and low in nutrients. One important point to recognise is that you wouldn’t be able to consume as much of a given food if salt, sugar or fat were added individually without the others. It’s the combination of these three that’s able to fool your brain. Would you let a stranger give your child a cigarette? Sugar-izing all foods to reach the “bliss point” that maximises pleasure (and purchases), leads to a gradual deadening of the taste buds. Over time, this has two negative consequences: first, you crave more and more sugar; and second, the level of sweetness in natural foods (such as berries and carrots) no longer has any appeal. Children raised on fast food meals, soda, and frequent junk food treats do not like fruits and vegetables. Why? Because they can hardly taste these foods. Their taste buds have been shut down by excess salt and sugar and simply can’t register the nuances of flavors in real food. Fast food prevents you from tasting the naturally delicious flavors of fruits and vegetables; therefore, the very foods that provide the body with the necessary nutrients to thrive and live a long, healthy life are made less desirable by human-made processed foods designed to cultivate addictive consumption. Where did the bliss come from? The term ‘bliss point’ was first coined by the market researcher and psychophysicist Howard Moskowitz around the 1970’s. Since that time, he worked with Big Food to optimise junk foods as wide-ranging as soft drinks, soups, salad dressings and pasta sauces. Mr Kellogg, way back in the 19th century, started the taste for processed breakfast cereals, which have become further contaminated with loads of sugar, artificial sweeteners, colourings and flavourings over the past decades. 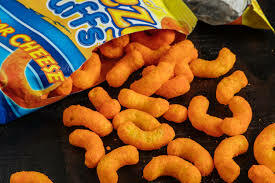 But it was in the 1970’s and 1980’s that “extraordinary science to perfect our taste reaction” really took off, according to Michael Moss, with the food scientists engineering such terms as “moreishness,” “craveability”, “snackability”, “mouthfeel”, “flavour burst”, etc. 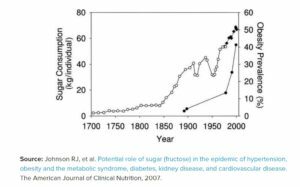 No coincidence, then, that this heralded the start of the massive rise in obesity levels and other non-communicable diseases 15 16 . Do the food manufacturers do all this on purpose in order to make us ill? I’ll let you decide that – although you may have to research Big Food’s links to Big Pharma to get a full picture! However, it’s hard to consider it an accident when if you look at the amount of sugar, fat and salt they pile into every processed food – from ready meals to crisps, and from loaves of bread to children’s yogurts – especially when there is a mountain of scientific studies showing the devastating impact such foods have on human health. 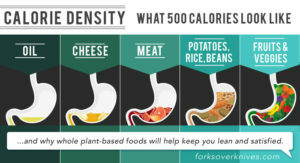 So what’s the main benefit of switching to a WFPB diet? Freedom from the pleasure trap and freedom from enslavement by that boring cycle of bliss point-chasing and bliss point-regretting.